The series 5000 Industrial Rail gondolas are based on steam-era 40' general-service gondolas, although the ATSF version is marked for mill service. 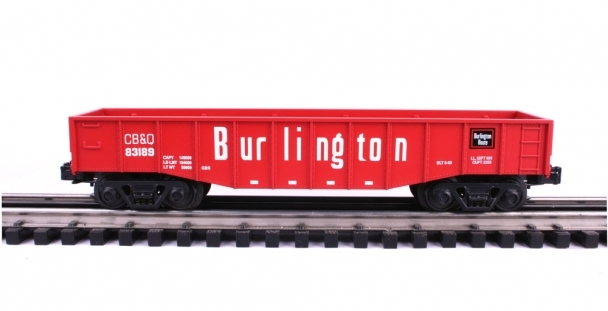 These cars were available in three road names including: A.T.S.F., Burlington Route, and Chessie System B&O. Gondolas, also known as gons, are one of the most versatile cars in railroading. The car's low walls and open tops make them ideal for shipping everything from scrap metal and garbage to I-beams and pipes. Gondolas have even been known to transport loose materials such as coal and gravel.